~ sew, knit, cook, write – enjoy! 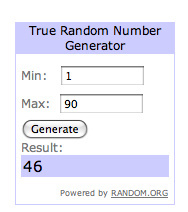 Yesterday I drew the winner of The Quilt Pattern Magazine Subscription. There were 90 comments and so I went to random.org and here is the number it picked. The 46th commenter was Laurie in Maine! Congratulations Laurie. 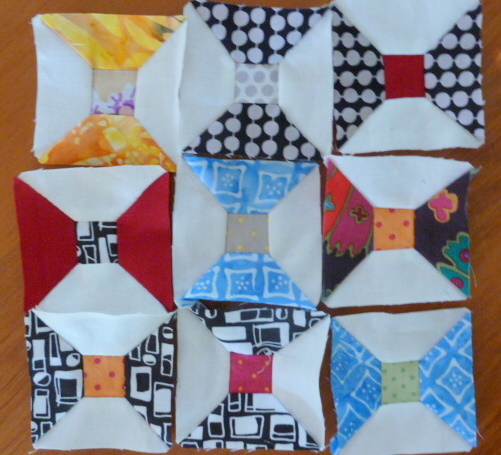 I’ve emailed you and The Quilt Pattern Magazine to inform them. I hope you enjoy the magazine. I’m sorry you couldn’t all win but I hope that you’ll subscribe as you’ll get 12 issues for only US$13.99. That’s got to be a good deal! The first issue is out now. Well I can hardly believe it! Still no-one has picked the right number! Someone is next to it and if there’s no clear winner by the end of the day then I’ll pick that person. If you want to have a go here is the link. I’ve been steadily adding to my pile of klosjes while listening to audio books. It’s very soothing except for my sore shoulder. Congratulations to Laurie. I love the klosjes, very colourful but be careful of that shoulder. I haven’t posted in ages!